Rosalinda is a proud Cherokee Nation citizen belonging to the wolf clan. Wa-Ya means wolf in her native tongue, so to show the upmost respect and honor to her ancestors, she named Wa-Ya Outdoor Institute after her family clan. Rosalinda works part time to manage Wa-Ya’s business enterprise. Her executive experience includes the Finance and Programs Committees for the South Sound YMCA, and PTA President for LP Brown Elementary School. In her professional career, Rosalinda is a Medical Disability Adjudicator and is Regional President for the National Association of Disability Examiners. Rosalinda has degrees in chemistry and microbiology. Her background and interests lead to research on salmonid pathology, and she worked on and off as a researcher and tribal fisheries biologist during her children’s younger years. Rosalinda and her husband have five children, from elementary school through high school in age. With both parents being scientists, the Turk children have grown up exploring the outdoors and learning the science behind our environment. In late 2015, Rosalinda returned from a family vacation through Central America (first overseas trip with the kids), with a renewed sense of community and a vision for developing hands-on learning experiences not offered our schools. “Jon and I have raised our kids with a simple common goal – to have as much fun with them as possible. We are adventurous spirits and have brought the kids along through it all. Their exposure to the world, the lessons in nature and culture, the challenges of adventure, provides the best education we could ask for." Shana, originally from Los Angeles, is a descendant of the Cold Springs Rancheria near Fresno California. Shana earned a law degree from Arizona State University, where she studied Indian law and Environmental Policy. As an attorney she has worked at the U.S Environmental Protection Agency as an Environmental Enforcement Attorney, at the Federal Communications Commission as the Senior Tribal Advisor and currently she works as the Tribal Liaison for the Washington State Department of Revenue. She will lend her expertise in environmental law and policy and tribal culture to Camp Wa-Ya. Shana's initial effort at WaYa helped convert the business from a limited liability corporation to a 501(c)(3) non-profit. This change helps us secure grant funding and invest back into the programs and community we serve. Shana is married to Jeffrey Barehand and has five children. As a family they volunteer for many important causes, participate in cultural activities and go on outdoor adventures in our natural playground. Cynthia Wilkerson is a passionate supporter of connecting people to the outdoors and is dedicated to empowering herself and others to apply their unique strengths to make the world a better place. Cynthia holds a B.S. in Conservation Biology from the University of Washington and a graduate degree in Wildlife Ecology from the University of Florida. A native Californian, Cynthia spent her formative years in college running a non-profit biological research station in the Great Bear Rainforest at the invitation of the sovereign Nuxalk Nation. This experience cemented a love of Northwest landscapes, the power of connection between culture and science, and the value of a community working together to actively protect nature. An accomplished conservationist, Cynthia as spent over 15 years working in conservation advocacy and land management in California and Washington. Her work in collaborative landscape conservation has led to conservation results that integrate the needs and voices of local communities and multiple societal values. Currently Cynthia manages the Lands Division for the Washington Department of Fish and Wildlife, which manages over 1 million acres and 700 access sites throughout the state for their fish, wildlife, and related recreation for the people of the state of Washington. Cynthia and her husband Anthony live in Olympia with their two young boys. The family enjoys many outdoor activities together from clam-digging, hiking, camping, and soccer. Cynthia is also a dedicated yoga practitioner who integrates the practice of mind-body connection and personal power into her work, volunteer and parenting approaches. Cynthia joined the Waya Outdoor Institute board in July of 2017 and currently serves as Vice- Chair. 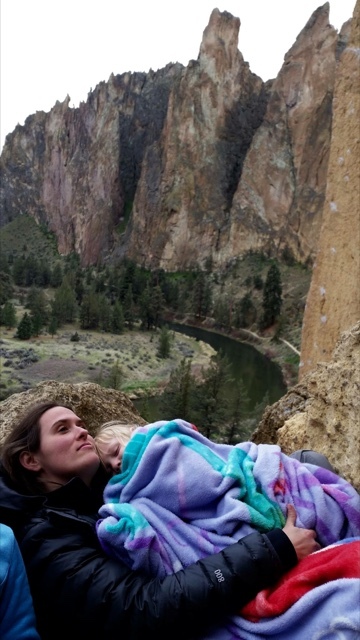 Erin Brewster, mom of two small boys is native to the Northwest, and has always sought to spend time in, and learn about the outdoors. Erin has a biology and environmental science degree from The Evergreen State College, and has wide ranging interests that include climate science and weather, animal behavior and physiology, fire science, and ecology. Erin’s greatest passion lies in understanding the interconnectedness of the natural world, and how to use that understanding to promote a healthy environment, and use the environment to most efficiently serve people. Erin has been a lead guide for multi-day whitewater rafting trips in California and Oregon, a ski-racing coach, horse-pack guide, professional ski patroller, and wild-land fire fighter. She also practiced as a paramedic, volunteer firefighter and EMT in the backcountry.